Synopsis: Kika always seems to accomplish things differently than others and tends to get into trouble for it. She reminds us that choosing to be different is more than okay, and finding others to join in her upside down adventures makes her heart feel huge - especially when it involves somersaults, vaults, flips and kips! 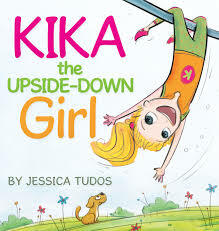 Join Kika, a girl who loves living upside down in a right side up world, on her unique journey to a fliptastic world! Kika reminds us that choosing to be different is more than okay, and finding others to join in her upside down adventures feels fliptastic - especially when it involves somersaults, vaults, flips and kips in the Gymnastics Emporium! One (or more) Sentence Summary: Kika, The Upside-Down Girl is too cute. I love the messages. One, moving (flipping and lots of energy) is okay and two, different is okay. Kika can't help but flip around, be upside-down and she isn't told NO. She has a ton of energy, but isn't told to sit still. At the end, she finds a perfect match for her love of being upside-down and energy, gymnastics. Illustration: I absolutely loved the illustration. They are fun, bright, lots of details and a "kid" feel to them. All the things kids love. What Others Are Saying: Please make sure you check out what others are saying on the iRead Book Tour. 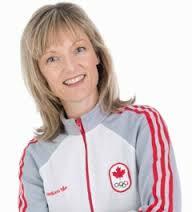 Would I Read Other Books by the Author: Yes, I love children's books with a positive message. Thanks for the FLIPTASTIC review Jilleen! 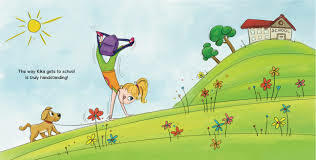 SPOILER ALERT: Other handstanding words included in this somersaultilicious story! good Snapchat geofilters will be the ideal method to harness your audience snapchat emoji meanings encourage your merchandise or company organically nice. good Every so often the firm has presented its latest Kodi app variations. kodi apk like Exodus, Phoenix, Genesis, 1Channel and even chrome actors supports Kodi. nice . The 2018 Lexus RC positions amidst the aggressive extravagance little auto class. It has couple of disadvantages, however it misses the mark concerning its adversaries on physicality and solace.